Currently enjoying Jonathan Coe's very British and wickedly funny recent novel Middle England. 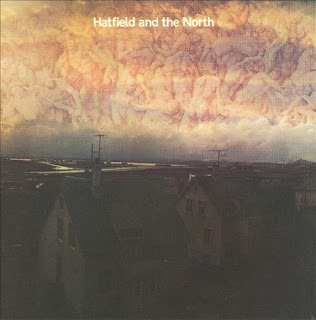 In it, one of the book's protagonists talks to a journalist about his love for quirky seventies Canterbury Scene ensemble Hatfield and the North. "For instance, on their first album there's a piece called Aigrette, which was written by the guitarist, and if you listen carefully, not only is the time signature changing every few bars, but it goes through these extraordinary modulations, these key changes, and yet the tune is really catchy, really attractive on the ear..." Listen for yourselves.